If you grew up on the East Coast or in the Midwest, there was one day a year that when it came (if it came) was better than Christmas, Hanukah, Kwanza, New Year’s, summer vacation and often, even your own birthday. That day was the elusive and magical Snow Day. Most of the kids I knew dreaded getting up for school every morning five days a week. It was always too early, often dark, sometimes cold, you had to get dressed, you had to eat, wash, brush, dress… ugh! Laborious, uninteresting, mundane, routine, boring, painful! To which I responded by burrowing deep within the sheets and shrouding my head under my pillow. Then there were a few minutes of glorious sleep, only to be reawakened a second time with a less sweet verbal prompt and finally, with all the lights turned on and the covers pulled off – you get the picture. Something jubilant like Beethoven’s “Ode to Joy” would sound in my mind. All of the usual nightly stalling and subsequent sneaking out of my room were abandoned. A snow day required focus, rest, intention setting, and full present moment awareness. In the morning, at least two hours BEFORE my mother’s rise and shine notice, I was Awake. I would be listening to the radio, tingling, vibrating, a transparent eyeball, all senses on high alert, waiting and hoping that our school would be mentioned. Then the disembodied voice floating out of the box read the list, “such and such schools, closed, such and such schools closed, such and such schools open (oh snap! ), such and such schools closed…” What, wait, that one was mine! And I shot off like a rocket to experience glorious adventures, character building activities, life enhancing and affirming interactions, special, rare and wonderful sensations that only a snow day could bring. This is the joy and immense sense of freedom and possibility that you feel during Yoga One Teacher Training. You are immersed in an open-minded and supportive community, daring to explore your own yoga practice and learning how to effectively share that practice with others. We hope you will join us for the upcoming course. We trust you will find the experience to be fun, educational, special, informative and life-enhancing. 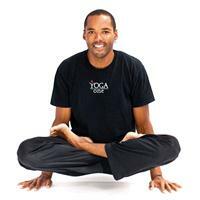 Yoga teacher and Co-Founder of Yoga One, Michael has been practicing yoga and incorporating its philosophy into his life since 1997. His kind and gentle manner is well suited to leading students of all levels. Michael has published numerous articles on a variety of subjects including yoga, meditation and rock n roll. This entry was posted in Teacher Training and tagged adventure, awareness, community, freedom, intention, joy, magic, meditation, Michael Caldwell, possibility, present moment, rise and shine, San Diego, school, snow day, Yoga One, yoga practice, yoga teacher training. Bookmark the permalink.